Our Amazing Before and After! An estimated 80 percent of teenagers in the Australia are currently undergoing some type of orthodontic treatment. Nobody is born with a perfect smile, and it’s hard to maintain one. While living day to day life you encounter all sorts of things that can damage your teeth and mouth. 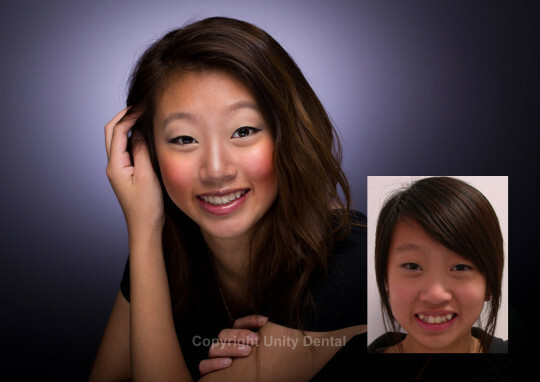 If you are dissatisfied with your smile you are not alone. Far from it. There is always something that can be done to make your smile more appealing or attractive, thanks to decades of advancements in cosmetic dentistry. Cosmetic dentistry is simply dental work that is designed to improve the aesthetic of your smile. Almost everybody goes through a cosmetic dentistry procedure at some point in their life. Genuine Family Dentistry will ensure that you receive the best treatment with the best resukts. We understand what it takes to produce the greatest looking smile to leave you feeling the most satisfied!